Excited for New York Fashion Week? We’ve got an amazing offer for one lucky fashionista to grab a chance of a lifetime, with a little help from top designer Rebecca Minkoff and style pioneers Stellé Audio Couture. 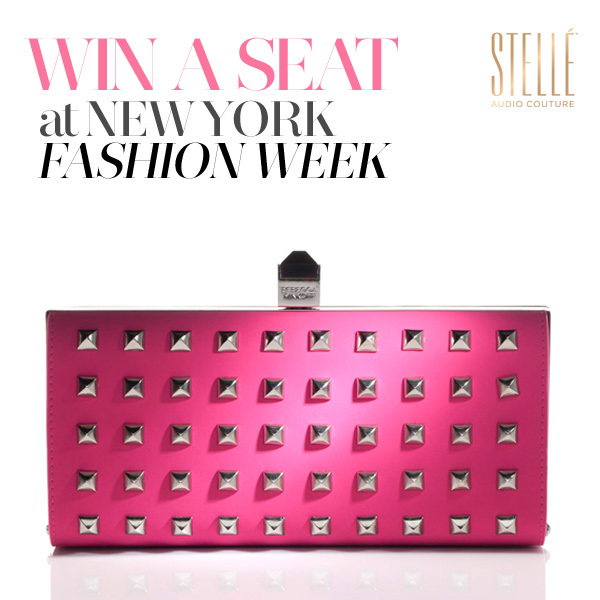 Win a Trip to #RockTheClutch in New York City for the Rebecca Minkoff Spring Runway Show at NYFW 2013 by following this one simple step! Prize includes airfare for two to New York, complimentary hotel stay, two tickets to Rebecca Minkoff’s runway show Feb. 8 at Lincoln Center with exclusive backstage passes and a signed Rebecca Minkoff Stellé Audio Clutch.